Trump vindicated: Is Comey a liar? Published on Mar 9, 2017Oh boy, looks like Trump is vindicated and Comey and Lynch might have their heads on the chopping block soon. References: Bensound. (n.d.). Epic | Royalty Free Music | Cinematic War. Retrieved from http://www.bensound.com/royalty-free-… Fox News on Twitter, & Hanity, S. (2017, March 9). Fox News on Twitter: ". @SaraCarterDC told @seanhannity investigators found no collusion between the @POTUS campaign and the Russians. #Hannity https://t.co/l64vLageA4". Retrieved from https://twitter.com/foxnews/status/83… Liar liar [Photoshop]. (n.d.). Retrieved from https://i.ytimg.com/vi/RwF8B8iDU6Y/ma… Make America Safe Photo. (2017). 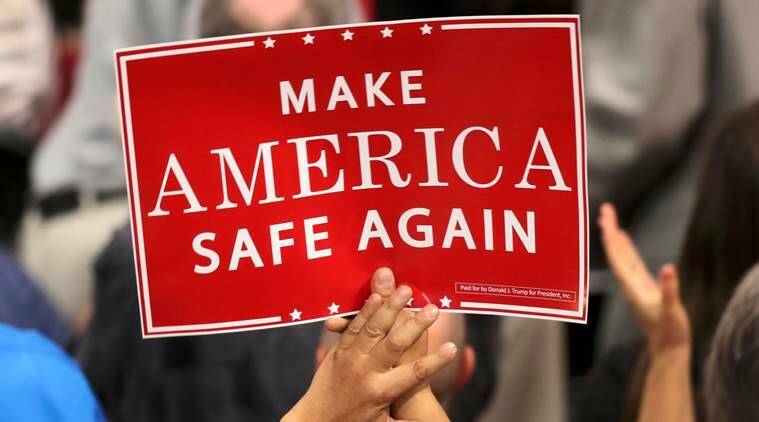 Make America Safe Photo [Photograph]. Retrieved from http://images.indianexpress.com/2016/…Copyright Disclaimer: Citation of articles and authors in this report does not imply ownership. Works and images presented here fall under Fair Use Section 107 and are used for commentary on globally significant newsworthy events. Under Section 107 of the Copyright Act 1976, allowance is made for fair use for purposes such as criticism, comment, news reporting, teaching, scholarship, and research.